The 27-year-old’s preference is for a return after their date at Wembley on April 29 was widely spoken of as the most exciting heavyweight fight since its last glamour era of the 1990s. Press Association Sport understands Joshua’s promoters Matchroom awaits only Klitschko’s decision before confirming the fight at Vegas’ T-Mobile Arena, and the IBF and WBA champion expects a resolution by the end of August. The alternative would be a bout against his Bulgarian mandatory challenger Kubrat Pulev, but Joshua told Press Association Sport: “I hope we can put a seal on it before the end of the month. “If we fought November 11, starting August 22 is a three-month camp, so towards the end of the month, one way or the other (I’m expecting to know), because I’ve got to crack on. “It was just fun, it was just entertaining. I’d do it again, definitely. “And going to Vegas opens the door for the (WBC champion Deontay) Wilder fight. “(Klitschko’s) not going to top what he’s already done but for 10 years people said he was boring because he was so dominant, but he got a lot of respect in defeat, so that should give him a real motivation (for a rematch). 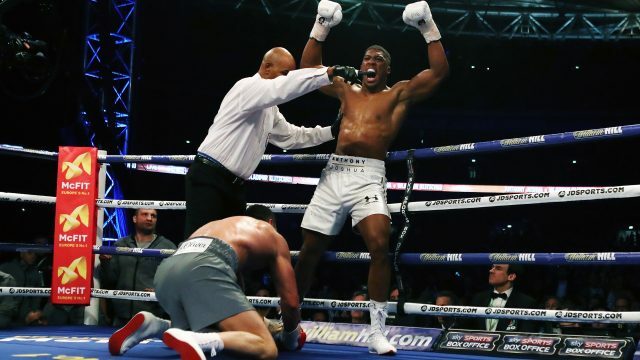 Almost immediately after their fight in April, Klitschko insisted he had conceded victory by not pursuing the stoppage when in the sixth round he heavily dropped Joshua for the first time in his professional career. 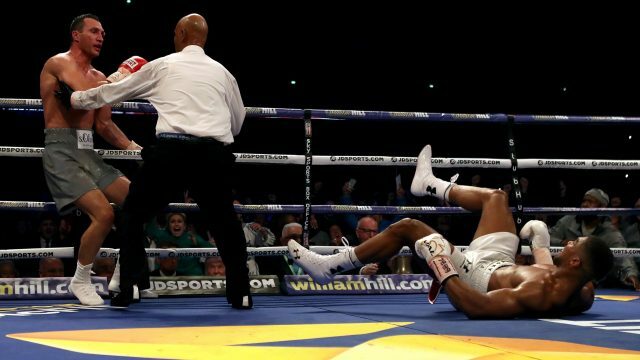 There have also been suggestions his older brother Vitali has apologised to him after advising him from the corner to remain patient, before Joshua gradually recovered and secured victory in the 11th. Joshua, however, has dismissed both as “nonsense”, even repeating the admission of Klitschko’s late trainer Manny Steward that the Ukrainian lacks “killer instinct”. “There’s a lot more to it than ‘I let him off the hook; that’s the only reason he beat me, I took my foot off the gas’,” he told Press Association Sport. “That’s nonsense. He’s been champion for 10 years, he knows better than that, so that’s not a good enough excuse. “You have to have a killer instinct. No matter what people tell you, sometimes you’ve got to do it your way. Maybe Wladimir came up short for those reasons. “Maybe it’s protecting his reputation. I can believe he said to himself ‘Cool, I’ve got him hurt, I’m going to get him out in three rounds but I need to gain my energy back because I’m too tired’. Anthony Joshua and Emily Skye joined Lucozade Sport, the UK’s number one sports drink brand as they entered the water market for the first time on Wednesday, at the launch event for FitWater.